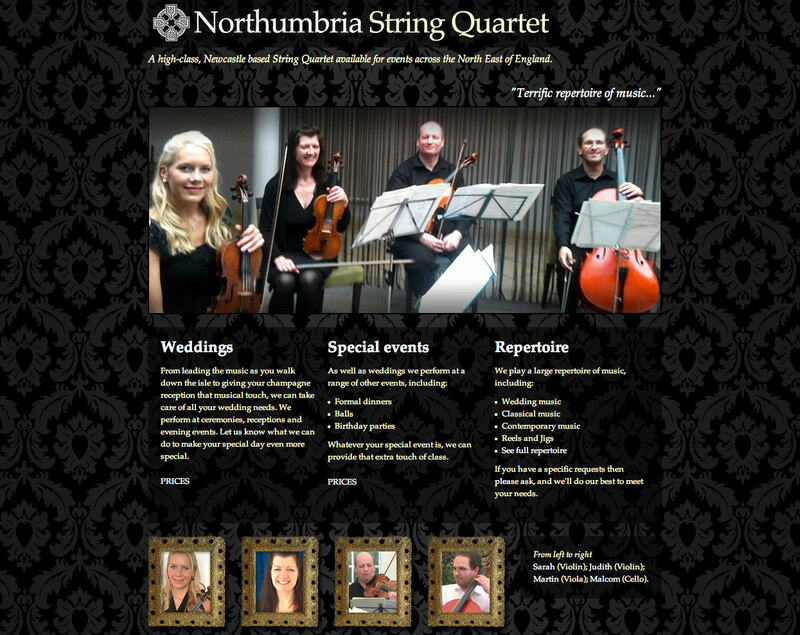 The client required a website making the services of a high-class string quartet known for weddings and other events. Integral to this project was developing an elegant and sophisticated style that would be fitting for advertising their performances. All the key information was displayed on an easy-to-useÂ single web page. 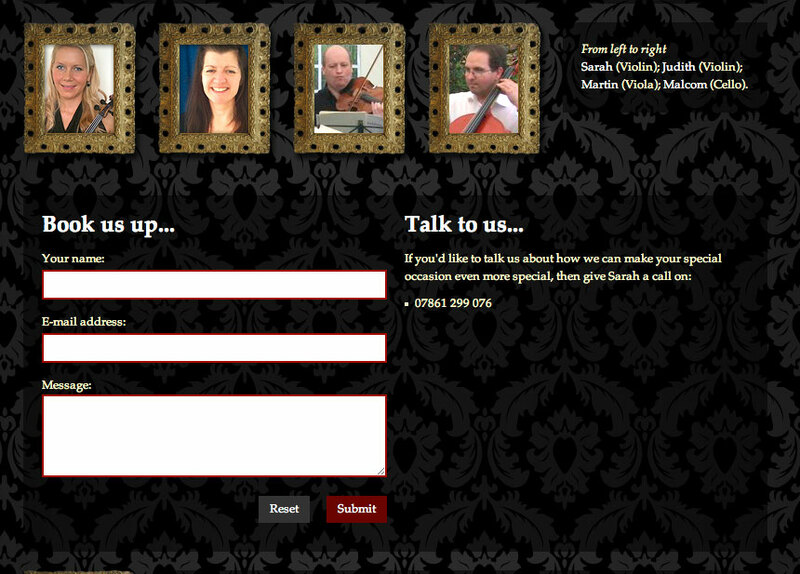 The development of the website included custom graphic elements (included the background wallpaper) and the integration jQuery functionality.